A fire at the Shanker Processed Foods building nearly put an end to the company. The city of Butane banded together to clean up the mess and bring Shanker back to life. 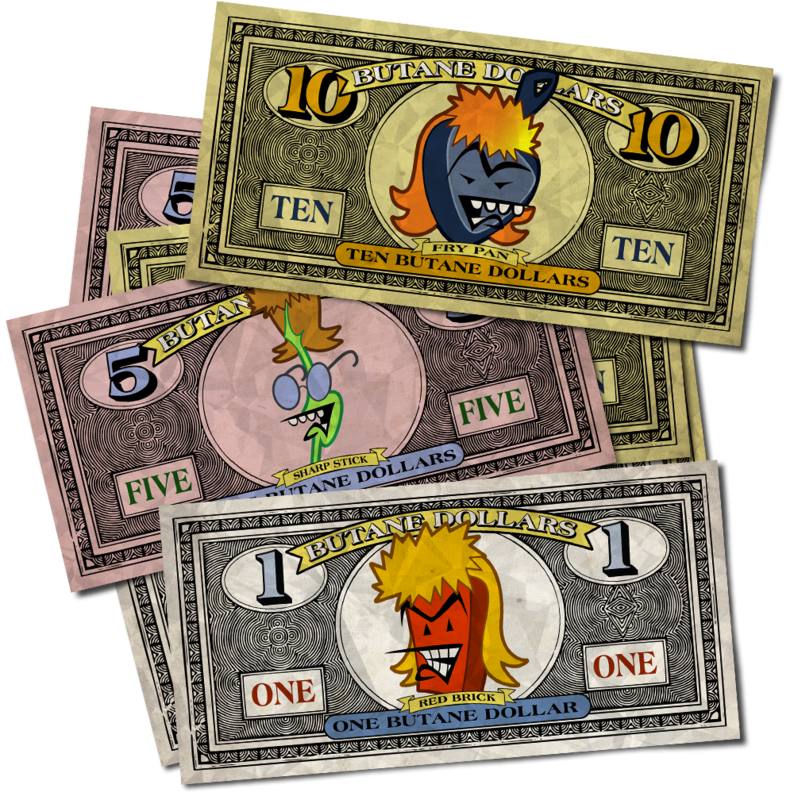 An image from the opening sequence of The New Red Brick Bunch. 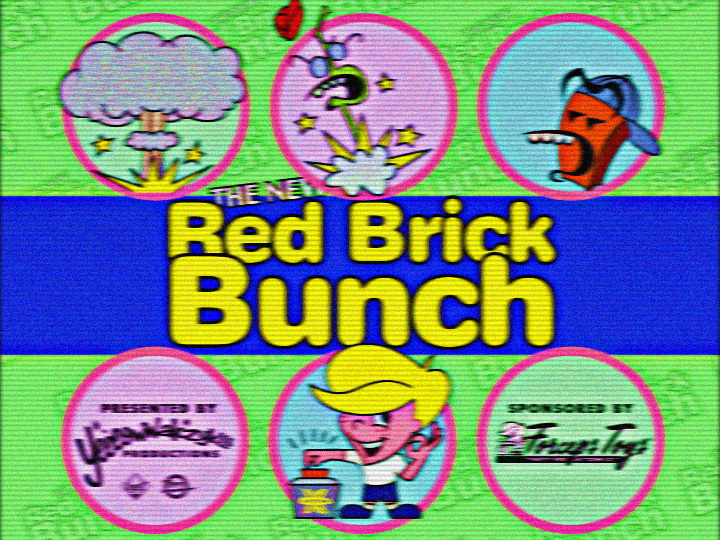 Broadcasting each week day, the show did much to revitalize the Red Brick franchise. Lasting three seasons The New Red Brick Bunch. was an overall success. 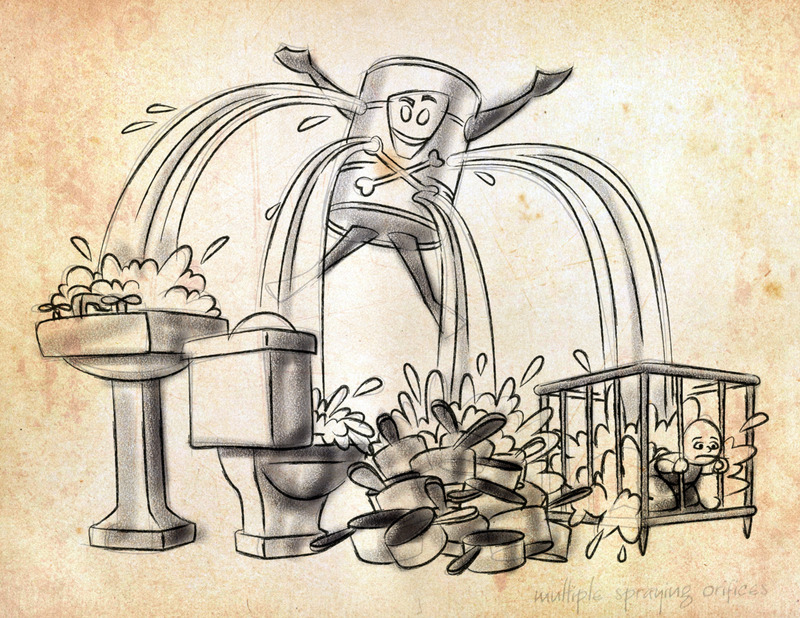 Using Corrosive Chemicals in the Home was a feature-length animated film designed to promote Corchem's new line of home care products. As Corchem Man says, "Home is where the Corrosive Chemicals are". The Phoenix of the Shanker fire turned out to be the 1979 film Sloppy Seconds. A prophetic title if ever there was one. The proceeds helped rebuild Shanker Processed Foods in 1980. in 1980 Crocker Yeeeowwalczyk felt the Red Brick franchise was beginning to lose its luster despite two successful holiday TV specials, 4th of July's Cinnamon-Seventy-Six and Thanksgiving's The First Bricksgiving. 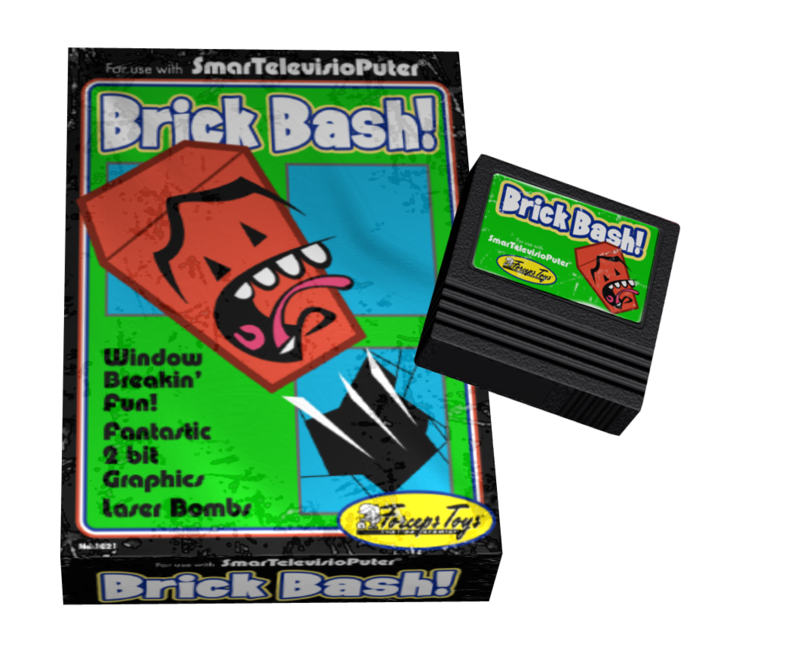 The solution was The New Red Brick Bunch Sponsored by Forceps Toys. 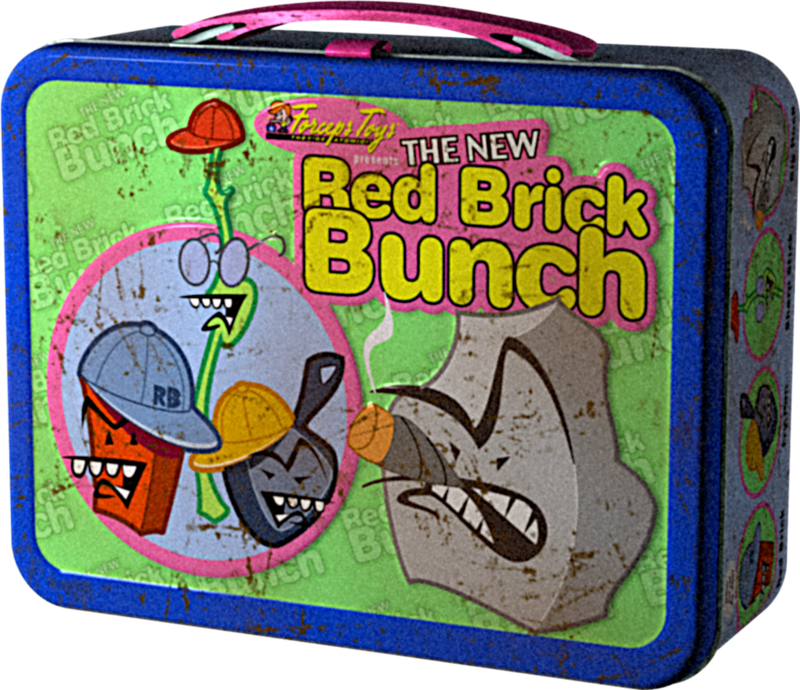 Reviving this 1960s classic show gave Red Brick and his buddies daily exposure for over three years. In the early 80‘s, as Butane’s population plummeted, Yeeeowwalczyk found it difficult to keep employees. As a result, the1987 film Using Corrosive Chemicals in the Home was not as polished as some of Yeeeowwalczyk's earlier works. Despite the rough edges, Using Corrosive Chemicals in the Home did quite well at the box office.